I am passionate about bringing integrity, compassion, and empathy to the dental field. I love encouraging my patients to work through their dental fears and phobias, transforming them into healthy, happy dental patients. I feel that I have a unique ability to work with those who suffer from dental anxiety. I am gentle, compassionate, and patient, all qualities that allow me to stand out amongst my peers. I especially enjoy working with children, though I strive to make patients of all ages feel as though they belong to our practice’s family. In 1991, I received a fellowship from the National Science Foundation and graduated from the University of Pennsylvania School of Engineering and Applied Science in 1993 with a Bachelor of Science in Engineering. I then attended the George Washington University School of Medicine and Health Sciences, graduating in 1995 with a Master’s degree in Public Health. I earned my Doctorate of Dental Surgery in 1999 from the University of Maryland Baltimore College of Dental Surgery. When my father retired from private practice in 2004, I was more than happy to continue his tradition of excellence in dentistry in the Sykesville, MD community. Continuing to expand my base of dental and medical knowledge has made me a better practitioner and has allowed me to treat my patients with the utmost confidence. 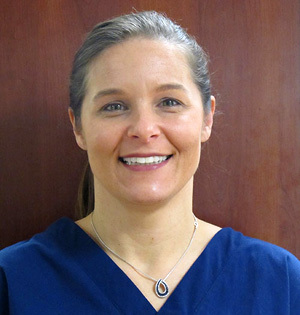 I have taken numerous clinical and online educational courses sponsored by various organizations including the Carroll County Dental Society, Maryland State Dental Association, Carroll County Female Dentists Study Group, and the American Dental Association. “Occlusion of Dentin Tubules by 45S5 Bioglass,” Bioceramics, Volume 10, October 1997. I was born and grew up in Mount Airy, Maryland and have lived here my entire life. I have a wonderful husband, George, four children, Luke, Blake, Emilee, and Lily, and three Rottweilers named Naddy, Boh, and Reilly. With four kids, I am constantly on the go! We’re often at one of their extracurricular activities or sporting events; I’m their biggest fan! I am always looking to give back to the community. Whenever possible, I can always be counted on to volunteer my time and services for dental care for orphans or to open my home to students and orphans from countries such as Russia, Latvia, and France. Along with my passion for orphan care, I am a Sunday school teacher at Winfield Bible Chapel, VBS leader, and children’s nursery teacher. I volunteer my time and services treating and educating the community and orphans through non-profit organizations such as Mission of Mercy, Open Hearts and Homes, New Horizons, and Carroll County Young Marines. I also reach out to local classrooms during February to teach elementary students about dental health. I take pride in enriching my community through dentistry.